Your first visit includes a new patient intake and assessment, including both written and verbal description of your state of health, current concerns, injuries, and goals for treatment. 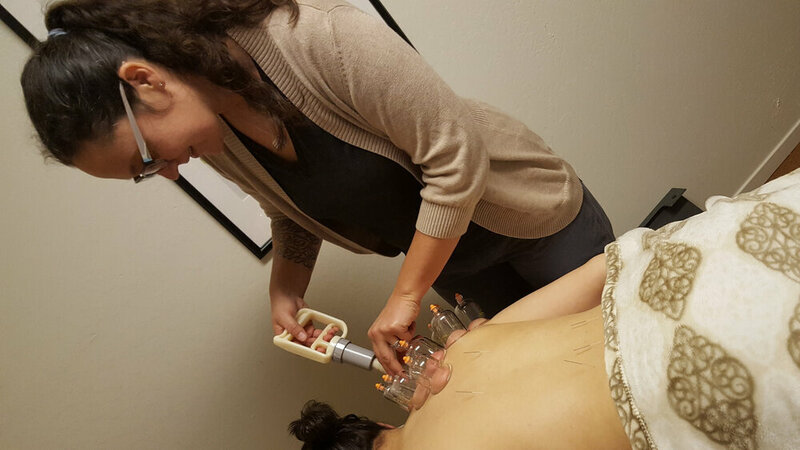 Using Traditional Chinese Medicine (TCM) or Kiiko Matsumoto Style (KMS) diagnosis, I will design an individualized treatment approach (e.g., acupuncture, cupping, Chinese medical massage techniques, and nutrition, and/or herbal recommendations) to meet your specific health concerns and wellness goals. Often I recommend a series of at least three treatments for effective diagnostic and treatment protocols to be established. Although acupuncture needles are tiny and virtually painless, they are one of the biggest objections to treatment, but with my Japanese style technique, most people comment, “Wow I didn’t even feel that”! What you may feel is a sensation of tingling, numbness, achy, heaviness, warmth, opening, and/or fullness when the “tiny healing wands” (as I affectionately call them) interact with your body's energy. During follow up treatments, I will continue to address any ongoing injuries or conditions we discussed during our initial intake. For example, a sprained ankle may show 50-80% resolution after a single treatment, but continued care is generally necessary to return to complete pain-free mobility. These quick visits boost your immunity, relax your mind, relieve stress, revitalize your energy, or are useful as follow up for athletes seeking peak performance. Expect a targeted set of points designed to tune-up your systems. For athlete treatments, acupuncture is encouraged but optional, and I will almost always use cupping. Herbal treatments can play a crucial role in your continued wellness. Herbal tinctures are taken internally for prevention of illness, during an acute attack, or for chronic conditions. Topical application of herbal products can make a drastic difference in the speed of recovery from an injury or to combat common aches and pains. I am incredibly honored to continue the legacy of Martha Benedict, O.M.D., L.Ac., through my role as an Education Specialist for Benedictine Healing Products. Passionate about these well rounded topical formulas and power-packed tinctures, I incorporate these into my acupuncture practice, as well as working with local vendors to provide ongoing education. Traditional Chinese Medicine places emphasis on dietary theory to assist you on the path to whole body wellness. My recommendations align with your personal circumstances, body constitution, and health concerns and/or goals. Many chronic health conditions are caused by systemic inflammation in the body, and I am absolutely thrilled to offer Arbonne's 30 Days to Healthy Living Program as a metabolic reset to reduce and eliminate inflammatory foods from your diet. If you would decide to purchase the Healthy Living Program, the fee for your Nutrition Consult is applied towards your purchase.